Each week in 2015, Max Martin from iNform Health and Fitness Solutions has shared the Made To Move Minute – a segment of helpful health tips that never got done in less than a minute, come to think of it, but have certainly helped our team provide a bit of nip and tuck to their daily lives. This week, Max is joined by business partner, Dr Nathan Harten, as guests for the episode, to set us up for better health in 2016. We recorded at Vileroy Restaurant on Kensington Road thanks to the generosity of Grant, the restaurateur, who prepared us some delicious, power meals, which we describe in the interview. Grant also provided our SA Drink of the week; Shingleback’s 2013 McLaren Vale South Coast Shiraz. Music is from Gorilla Jones – one of the bands to be playing at the City Of Adelaide New Year’s Eve party tomorrow night. Our sponsor this week is Scott’s Emulsion. In IS IT NEWS, Nigel’s theme is Eating And Health. We have an Adelaide Visa Council with two defendants both from Sydney. We also look at the highlights of 2015. David Washington is on leave this week from In Daily. How do you say Vileroy? David Washington, editor of In Daily, is on leave this week and so cannot give us a midweek wrap of the news we’ve been talking about in South Australia this week. Best wine: Cabernet Sauvignon by Ballycroft Wines from episode 119. Best song: 2 people Jimmy Marin episode 100. Favourite interviewee: Dr Alice Gorman episode 118. Best show video: Peter Drew Arts on episode 101. Best Made To Move Minute: Anti New Year’s Resolutions episode 121. Shingleback’s 2013 McLaren Vale South Coast Shiraz. Tasting notes. This week: They ARE the show, so we gave Max a week off. 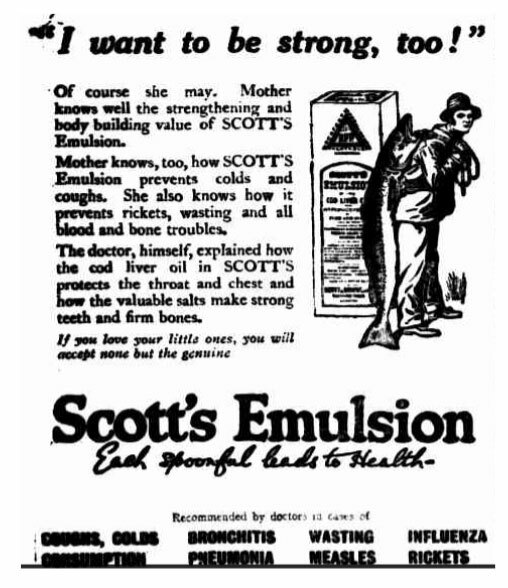 Scott’s Emulsion. See advert at bottom of page. The most important segment in each week’s Adelaide Show podcast is the Made To Move Minute by Max Martin from iNform Health And Fitness Solutions, Norwood. These segments give us important pointers for looking after our most important resource – our bodies, without which we’d be of no use to anybody. Max is a co-founder of iNform Health and is also a board member of Fitness Australia, a member of Exercise and Sport Science Australia, a lecturer on exercise physiology at the University South Australia and an all-round great guy. Nathan is also a co-founder of iNform Health where he is the Director of Clinical Exercise Physiology. He has a PhD in Human Movement and also holds an Applied Science Degree in Exercise Science. Nathan’s also on the executive of the State Chapter of Exercise and Sport Science Australia (ESSA), which is the governing body for Accredited Exercise Physiologists. Together, these guys also run Corrective Exercise Australia (an offshoot of iNform Health through which they train health and fitness practitioners around Australia and the world) and they have the Movement Screen App which has been designed to help fitness and healthcare professionals screen new clients or patients for vulnerabilities before a course of treatment or training. It’s been a year since the two joined us for episode 71, the Adelaide Get Fit Guide episode, and we begin by surveying how society has fared in relation to health since then. The news history quiz curated and hosted by Nigel Dobson-Keeffe. I forgot how boring Adelaide is. And our song this week, All I Have Is My Name by Gorilla Jones, recommended by our previous musical curator, Brett Monten and played in episode 12. Our current musical curator is on leave: Adrian Miller, from Radio Adelaide’s Monday night program, Songcatcher.